Rather than alien spacecraft there are bioforms, living beings which inhabit the cosmic void. 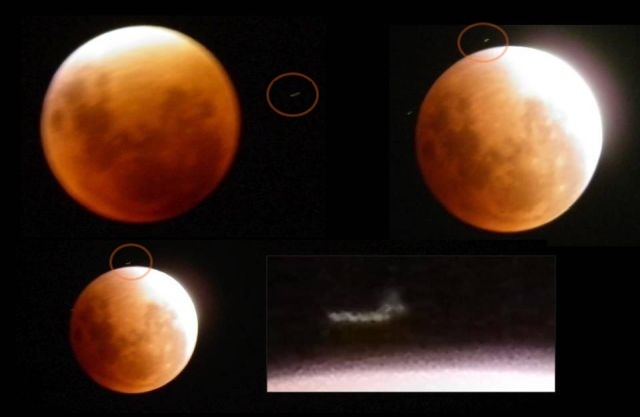 The following photos taken during the lunar eclipse of September 29, 2015 show some amazing images of what appears to be a biological entity dubbed ‘Zeroid’. Witness states: I was in my residence watching the lunar eclipse. I decided to take some pictures, because my son is interested in the subject and he slept because of the schedule. 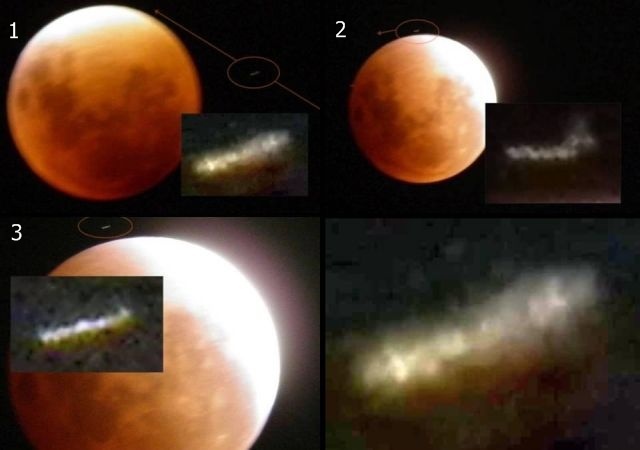 The object was not visible to the naked eye, and I fixed the camera on a tripod not to move the camera. Only the next day I went to see the pictures on the computer, when I found a strange white spot around and near the moon. Mufon case 80045. Note: Already dozens of organic compounds have been identified in space, including formaldehyde, prussic acid, and cellulose. In short, there is an abundance of basic building blocks out there to allow for the evolution of zeroids. Zeroids may have migrated to all sectors of space - both within and without galaxies. Endowed with both mobility and intelligence, it is conceivable that some may have actually penetrated our zone of existence.